UFC superstar Conor McGregor has drawn attention from fight fans worldwide. As a result, fellow competitors are always fervently waiting for a chance to take on “Notorious.” With that in mind, some fighters call out McGregor in public but never appear when a chance to throw down presents itself. Back at UFC 196, “Notorious” was set to throw down with Rafael dos Anjos. However, dos Anjos was pulled from the card. Suddenly, McGregor’s numerous hopeful opponents stopped seeming so enthusiastic about a chance to take on the knockout artist. Jose Aldo, having lost his featherweight title to McGregor, was one of the first fighters called up as a possible replacement opponent. The former champion had been voicing an interest in forming a rematch with McGregor for some time. The fighter’s coach would go on to claim that Aldo did not have enough time to prepare, explaining why Aldo declined the fight offer. 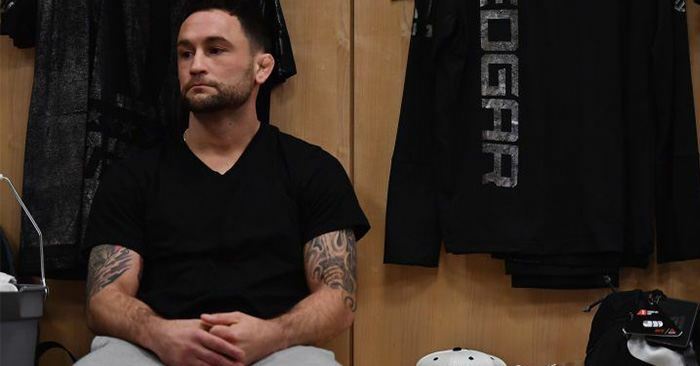 Frankie Edgar was then given a shot at “Notorious” after trash-talking McGregor for some time, but “The Answer” declined the fight after citing his own injury. MMA warriors Donald Cerrone and Nate Diaz each voiced their thoughts when given the opportunity to replace Rafael dos Anjos. Cerrone immediately jumped on the treadmill and began working off weight for the fight. Diaz went to social media to tell McGregor to “get on his his knees and beg” for the fight.